Chennai: CPM general secretary Sitaram Yechury on Friday demanded to know why the Centre was not applying the yardstick of equal treatment of women it used on the triple talaq issue to the Sabarimala row and blamed the BJP for whipping up communal passions for electoral gains. The top Marxist party leader said roughing up of women journalists and the stir led by groups wearing saffron head bands at Sabarimala indicated a pattern seen during the demoliton of Babri Masjid (1992) and blamed the RSS for it. Women journalists forming part of television crew were roughed up and "it is exactly the pattern, which is also very similar at the time of Babri Masjid demoliton...you have the heads of volunteers wearing saffron bands (leading protests)," Yechury said. Such scenarios unfolded during the Babri protests and a "similar thing is done here; it is an organised thing that the RSS is doing and that will be fought," he said. The Rashtriya Swayamsevak Sangh (RSS) would "lose the Sabarimala battle," Yechury said. In a historic judgment last month, the apex court had lifted the ban on entry of girls and women of menstrual age into the hill temple. Citing the Centre's advisory to Kerala, Tamil Nadu and Karnataka to take precautionary measures in view of some Hindu outfits planning protests, he said law and order was being maintained by the Kerala government. "Those disturbing law and order will be dealt with, they are being dealt with," Yechury told reporters in Chennai. 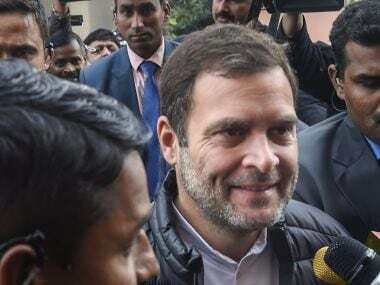 On triple talaq, he said the Centre recently promulgated an ordinance making it illegal, saying the practice was unequal treatment of women, he said. "The government did that saying equality of men and women is fundamental to our Constitution and that it should be protected." "Therefore, triple talaq is unequal treatment of women and they brought this ordinance. Same principle why they are not applying for Sabarimala?" he asked. His party had taken a stand against triple talaq for its "arbitary use and instant application, so we said that needs to be reformed." The Centre still has the option of going in for a legislation or ordinance to circumvent the apex court verdict on Sabarimala "if they are really interested," the way it did for the SC/ST (Prevention of Atrocities) Act, he said. However, "the real point here is to whip up communal polarisation with the hope that it will get some political and electoral benefit," he said. Accusing BJP of playing the "worst form of vote bank politics," he said, "They are seeking the consolidation of Hindutva communal vote bank at the expense of destroying our social harmony, unity and integrity of our country and this is very dangerous." 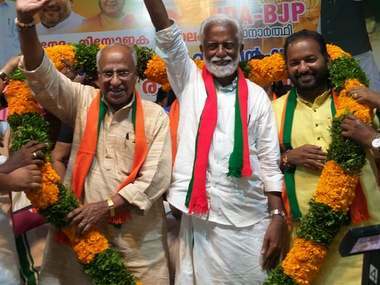 He accused the BJP and Congress in Kerala, of "duplicity" on Sabarimala issue, adding the saffron party and Congress reversed its stand after initially welcoming the verdict. 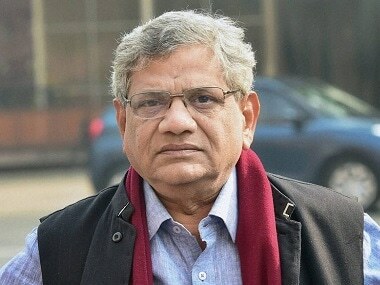 Yechury said the state-wise electoral strategy (for the Lok Sabha 2019 election) would be worked out as per the recent central committee meet resolve to defeat BJP and its allies, strengthen the CPM and the Left in Parliament and work for an alternate secular government at the Centre. The Muslim Women-Protection of Rights on Marriage-Ordinance was promulgated last month and a bill in this regard was passed by Lok Sabha last year, which is now pending in the Rajya Sabha. 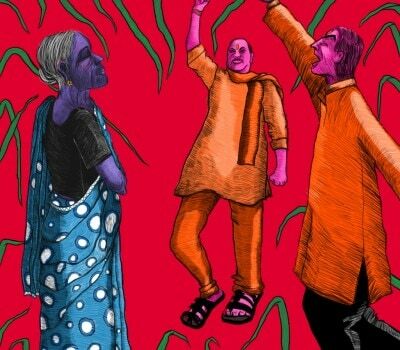 Recently, the Parliament passed a Bill to overturn an apex court order covering arrests under the SC/ST Act and to restore the original provisions.